On behalf of the Project 2020 Steering Committee, we invite you to become a sponsor of the 2019 Gala. We would be honored to receive your support to help make this event a success, not only financially, but also to promote the Greek culture, heritage, and values that we treasure. It is a unique opportunity to serve as a connector in linking our spiritual and cultural past to the future in a meaningful and lasting way. While Gala proceeds will benefit our community’s necessary Narthex Renovation, it is our hope and desire that this Gala will be a stepping stone for future events like this one. As a sponsor of the Gala, you will connect with a community that shares your interests and values and inspire a new legacy of generosity. Please choose a sponsorship level that is right for you, using the sponsorship form below. 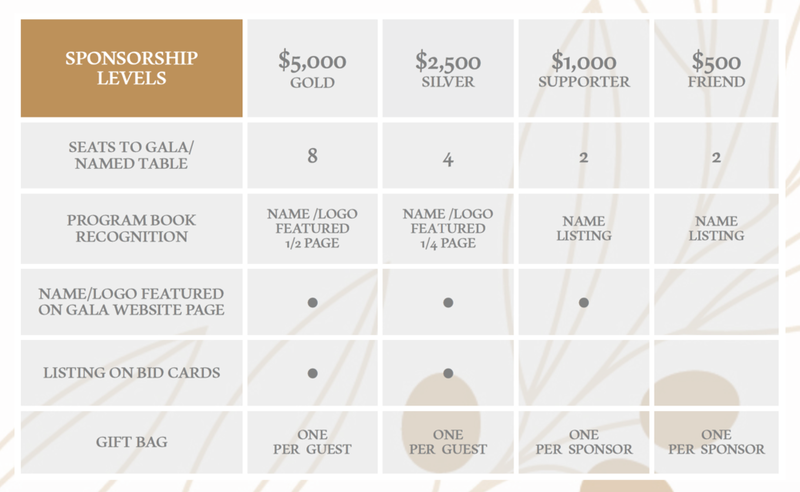 Please return your sponsorship form, along with your method of payment, by February 1, 2019, to be included in the Gala program book. Thank you for your commitment! We look forward to recognizing your generosity at the event. Choose a sponsorship level below that is right for you. Once you have done so, please download, complete, and return this form to secure your sponsorship. Sponsorships will be accepted after February 1, 2019. They will not be recognized in the Gala Program Book, but they will be recognized on the Gala Sponsors webpage. Click to download the 2019 Gala sponsorship form. Please return your completed form and method of payment by February 1, 2019.